Add a touch of nostalgia to your table with this classic milk churn, a reminder of days lone past this quirky design will certainly be the topic of conversation at any social gathering. 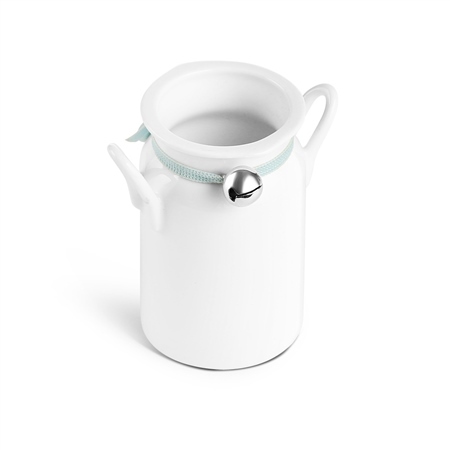 White ceramic milk churn comes complete with a blue ribbon and bell, presented in a Newbridge Silverware gift box. Product dimensions 78mm x 73mm x 48mm. Capacity 95ml.